What makes Waterford so special? It’s not just our historic city, beautiful coastline and vibrant arts culture that sets us apart from other cities, without doubt the people of Waterford make it one of the friendliest places in Ireland. Whether you’re renting or buying, housing in Waterford is affordable when compared to other cities in Ireland. This means shorter commute times and better quality of life. Not only that there is a wide variety of accommodation types all within a stone’s throw of the city centre, business parks, the Commeragh Mountains and countless beaches. A large number of excellent schools for all levels of education ranging from Montessori for the tiny tots right up to post leaving cert and third level for your older children, or indeed for people who want to retrain or upskill. Our beautiful city is steeped in history from The Viking Triangle – home to The Bishops Palace, Waterford Museum of Treasures, Reginald’s Tower and 33 The Mall- Home of the Irish Tricolour, Waterford Crystal. Playgrounds, beaches, skate parks, nature park, swimming pools, coastal walks, Waterford Greenway, sailing, indoor playcentres, multiple sports clubs for young and not so young. Tramore Racecourse, Greyhound Track, Walsh Park GAA Stadium, RSC- home to Waterford FC and WAC, WIT Arena- Carriganore, Annual Viking Marathon, Solas Run for Life, multiple golf courses to suit all levels of skill. Vibrant restaurant and pub scene. Great variety or dining options from all different cultures to suit everyone’s tastes- Japanese, Chinese, Italian, Indian, casual and fine dining as well as family friendly options. Great live music in a host of pubs throughout the week and national events such as Day Tripper, All Together Now. Accessible and affordable rental sector. 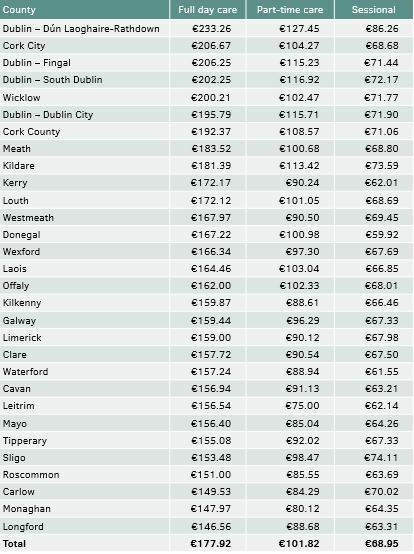 Lower childcare costs throughout the city and county when compared to Dublin and Cork. Waterford is very much in a position of growth at present. The new North Quays Development, the proposed transition from IT to University, the possible runway extension at Waterford Airport (just 5 miles from the city centre) to facilitate commercial flights. There is already a very strong multinational presence in Waterford with companies such as Sanofi, Teva, Bausch and Lomb, in the production sector Red Hat, Tech Mahindra in the technological sector and Sunlife Financial, PWC and EY in the Financial sector. Entities such as those mentioned above are attracted to Waterford due to the highly educated and skilled workforce, the reduced cost of operations and the accessibility to the markets nationally and internationally as well as the quality of life it presents to staff relocating from other territories. The IDA offers supports and encouragement for multinational operators to relocate or expand in Waterford. Waterford City and County Council also offer supports to investors proposing to operate in Waterford. ·Companies in Waterford can avail of Ireland’s low Corporate Tax rate of 12.5%, combined with favourable Double-Tax agreements. ·Ireland also has a 25% R&D Tax Credit available to companies. ·Zero-rated Sales Tax (Value-Added Tax, or VAT) to all exports outside of the EU. ·Zero-rated Sales Tax to all Intra-EU countries, where the buyer is also VAT registered. ·The cost of property in Waterford is the lowest for any city in the Ireland making it an opportune choice. 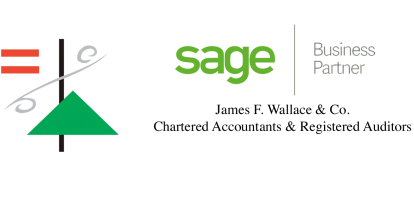 Why not check out our Financial Services.